As a kitchen designer, a granite fabricator who I can trust to represent our company well and provide quality work and service is of utmost importance. We are very pleased with Eco Marble & Granite’s professionalism and quality workmanship. They offer quick turnaround and great pricing without sacrificing attention to detail and excellent customer service. They take pride in their work and it works! Our customer’s are consistently delighted with the entire experience. I would recommend Eco without reservation. Over the last few years, we have worked with Eco Marble & Granite on close to half of our projects. 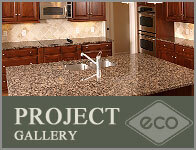 Eco has proven to be a reliable installer of granite countertops and sinks. Eco has always met or exceeded our expectations of both speed and quality. Since 2007 Eco Marble & Granite has successfully completed over 1000 units with us. Our work with Eco Marble & Granite has consisted of new and adaptive re-us apartment buildings, residential construction projects and commercial office projects. 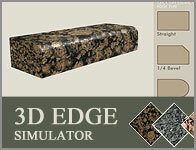 We have found Eco Marble & Granite to be conscientious in their work and responsive to our needs. We feel that you will be as happy with their work as we are. 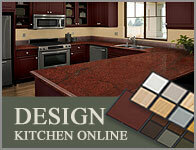 We have been doing business with Eco Marble & Granite for over a year now. We first learned of them trough their rep, Dave Lodge, whom I have known and respected for many years. When he joined Eco’s team and assured me of their expertise in the field, I gave them one of my cabinet top jobs. I was not disappointed. Since then Eco has fabricated and installed stone for our cabinetry many times for many different jobs. The quotes I need for my customers are returned in a timely manner. The customers service we receive is excellent. Eco bends over backward to accommodate our schedules for templates and installs. All of the above allow my jobs to flow more smoothly. I have never heard negative remarks from my customers about the way Eco’s employees handle themselves in the field. This professional behavior and respect for customers’ homes is extremely important to me since my reputation in cabinetry and remodeling is at risk also. I highly recommend the services of Eco Marble and Granite.